With an excess of plastic already in use, a reusable water bottle is a must-have on your packing list when you travel. Instead of purchasing water bottles along the way, get access to drinkable water wherever you go with a filtered water bottle for travel. Not only is it a great way to reduce waste but it also filters out metals, bacteria, viruses, and more to turn any water source into drinkable water. On hikes through the outdoors or in countries where drinking tap water is a no-go, you want to make sure what you are drinking is safe. Since access to clean drinking water is not always available it is important to have a filtered water bottle that you trust. We asked seasoned travelers what water filter they pack with them to purify water on the go. They shared their top picks for refillable water bottles that include a filter to clean the water as your drink or independent water bottle filters to pair with your own container. For a lightweight and efficient way to filter water the GRAYL Ultralight Purifier is a good fit. The sleek filtered water bottle removes 99.99% of water-related viruses and bacteria including Cholera, Giardia, Hepatitis A, Rotavirus and Salmonella. The water filter’s cartridge technology works to separate water from chemicals within 15 seconds. 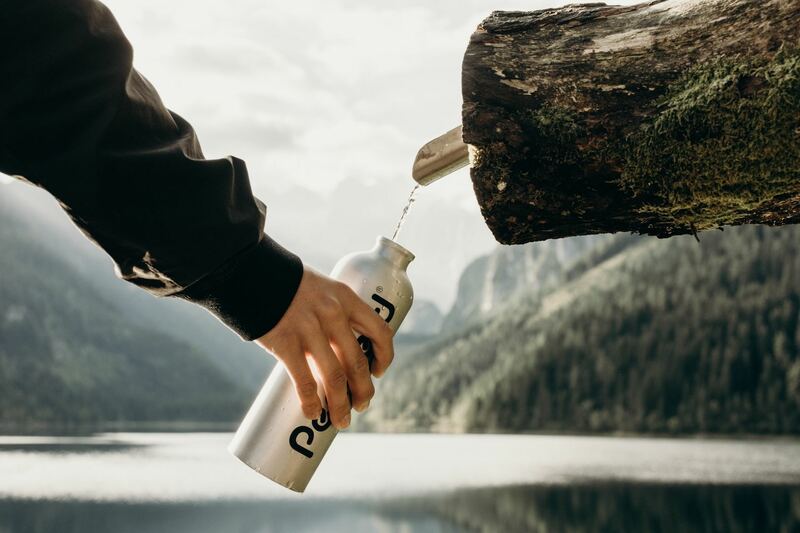 The company’s OnePress Global Protection assures travelers that no matter the water source they can have clean drinking water all over the world. The filter can be used for 300 cycles and can be easily replaced for a sustainable way to always have access to drinkable water. GRAYL also donates at least 1% of each sale to non-profits and environmental charities. Your travels don’t have to take you overseas for you to be in need of clean drinking water. The Brita 23.7 Ounce Hard Sided Water Bottle with Filter can be brought through airport security (empty of course) and refilled anywhere you travel. Its outer surface makes it durable while its inner filtration system reduces chlorine taste, odor and contaminants. The carrying loop and flip-up straw keep it compact and effortless to carry. Each filter serves you 2 months of clean drinking water and one bottle replaces 300 single use water bottles of the same size. A win for you and the environment! The Water-to-Go water bottle with filter combines 3 different technologies for up to 3 months of clean drinkable water. Unlike most filtered water bottles, it eliminates heavy metals such as lead in addition to filtering out bacteria, viruses, and chlorine. There’s even a filter timer to ensure that you’re getting the most drinkable water possible. 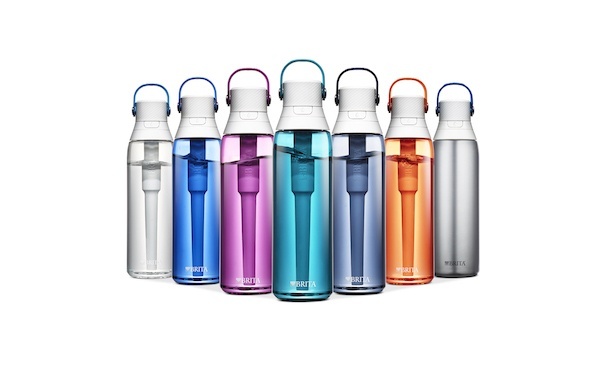 This filtered water bottle comes in a variety of colors. A portion of the sales are donated to causes around the world such as the African Wildlife Foundation and Malaria No More UK. 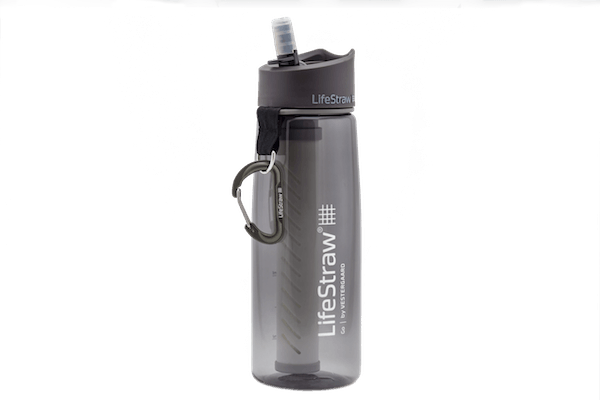 The LifeStraw Go water bottle with filter has a 2 step filtration system that gets rid of 99.9% of bacteria, parasites and microplastics while reducing chlorine and chemicals while improving the taste of water. 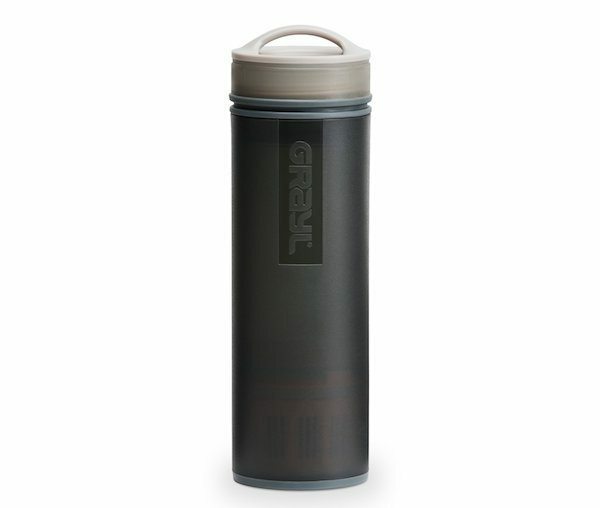 The sleek design and metal clip makes it easy to carry the filtered water bottle for travel. There is even a customizable 10oz version called Play for kids where they can pick their colors, write their name on the lid, and draw on the bottle. Use each reusable water bottle for clean drinking water for up to 5 years. Not only do these filtered water bottles reduce waste and decontaminate water, a portion of each purchase goes towards LifeStraw’s effort to bring clean water to schools and communities around the world. 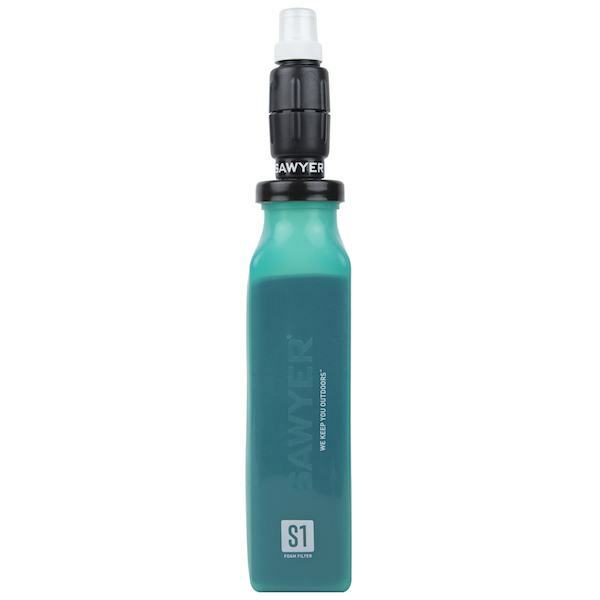 The Sawyer Mini Water Filtration System gives you clean drinking water in the palm of your hand. The 2 oz straw-like water filter can be used with your own reusable water bottle or with a 16 oz pouch that can roll up to fit right in your pocket. 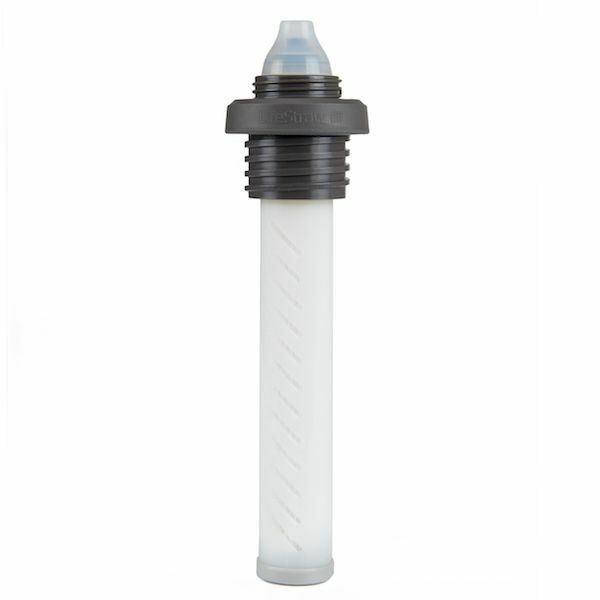 A single filter cleans up to 100,000 gallons of water and its micron filtration system makes it impossible for harmful bacteria to get through the filter. Since this portable filtration system can simply be cleaned and reused there’s no extra cost for cartridges that need to be replaced. For a versatile way to get drinkable water, the Lifestraw Universal filter can be used in combination with your own water bottle. The filter has 2 adaptors that fit both wide and narrow mouthpieces, so no matter what size your reusable water bottle is it has you covered. In the lifetime of one water bottle filter it can clean bacteria, chemicals, and parasites from 4,000 liters of water – eliminating the usage of 8,000 single-use water bottles! 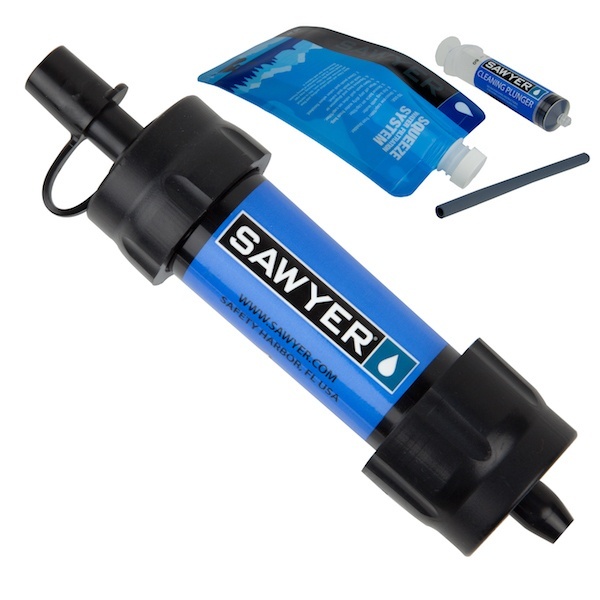 The Sawyer Select S1 Filter System uses a hollow fiber membrane filter along with a foam membrane to remove bacteria, pesticides, chemicals, and protozoa from water. You can use one filter at least 1600 times with any water source to get drinkable water. With higher removal rates and faster flow rates the S1 filter system reduces even more chemicals and pesticides than recommended by the Environmental Protection Agency. Being able to access clean drinking water with the help of a water bottle filter can be an invaluable part of your travels. Instead of purchasing single use water bottles you can save lots of money by carrying a filtered water bottle or using a water bottle filter with you when you’re on the go. With these sustainable choices you can feel good about the water you’re drinking when you travel and also the positive impact on the environment.